One of the most compelling wines I have ever had comes from Mount Etna, so it was a bit of a disappointing discovery for me when I realized there are as of yet very few producers making high quality wine on the slopes of the active volcano. 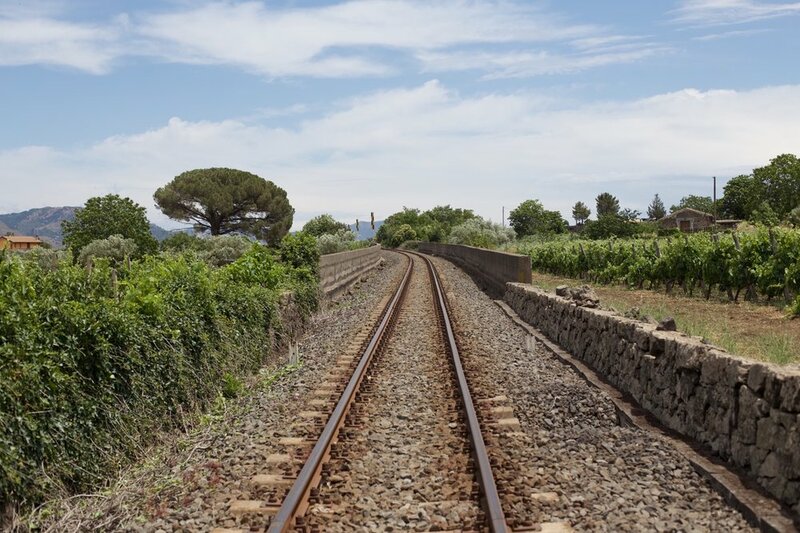 Driving through the area, it is easy to imagine that there were far more vineyards producing wine years ago as there are overgrown abandoned terraces dotting the landscape. Looking on the bright side, the wines from Etna are on the rise in the national market and more and more vintners are popping up every year. For Pinot Noir and Nebbiolo lovers, Nerello Mascalese is an exciting find. It can produce reds with impressive delicacy as well as those with great structure. 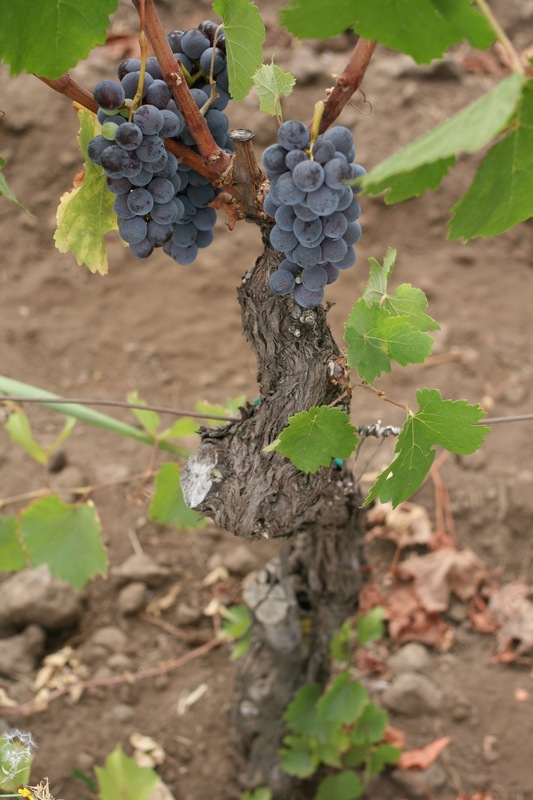 It is a complex grape grown in a complex terroir. The vineyards are planted on ancient lava flows, all varying in age and mineral content as well as topsoil composition with underground pockets that allow water retention to keep the vines hydrated during the heat of the summer. Giuseppe Russo is a quiet thoughtful young man, formerly a pianist. Since 2005 he has been organically farming his family's old vineyards, many of the vines around 100 years of age, and he is restoring the old cellar under his house. He has 15 hectares of vines on the North side of Etna around the town of Passopisciaro and sells off the fruit from the youngest vines. He is currently producing his 2000 case production from 7 hectares. In addition to his base wine, which is a blend from his younger vines, he produces wines from two different crus, San Lorenzo and Feudo. Giuseppe will tell you that the more elegant examples come from Feudo and with San Lorenzo you get a wine with more structure and aging potential. 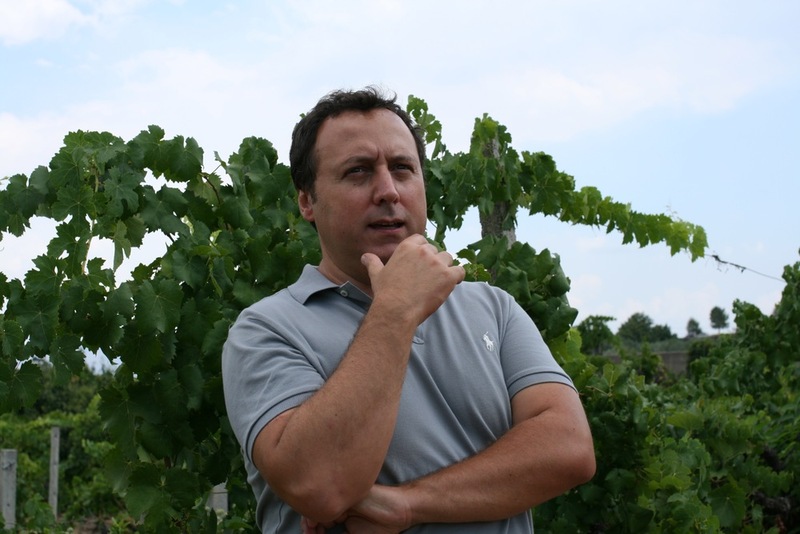 Beginning in 2011, he has added a third cru, called Feudo d'Mezzo. This small parcel abuts the town of Passopisciaro and includes mostly 100 year old vines.